All you need to create graphics and build your brand's visual strategy. Here are Orana Creative we are total font addicts. We use all these font databases to get new fonts and find special fonts for new projects. Becoming a subscriber to any of these sites, gets you freebies all the time. Fontbundles is one our favorite font sites. With plenty of new fonts being launched all the time, you will definitely find what you are looking for, and probably enjoy yourself looking! 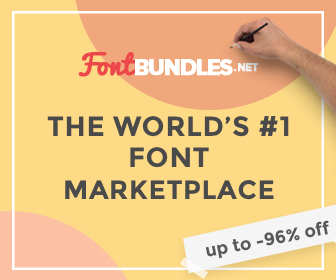 There are always great bundles and font packs as special promotions. Another amazing fonts resource is The Hungry Jpeg. Very similar to fontbundles, there are always new fonts and bundles with special offers and sales. Get an account at The Hungry Jpeg and get all the fonts you could ever want. Having plenty of graphics, backgrounds and templates on hand will make it easier to build your brand's visual style. All the creative assets in these sites will help you make any kind of visual, from online graphics to handmade products you can sell on your site. Designbundles is a great site for all sorts of graphics, backgrounds and textures. Just like fontbundles, there are bundles, special free promotion bundles and daily specials. Get the current free bundle by clicking on the image above..
Creative Market really does have it all when it comes to creative assets for your business. Everything you could ever need is available on their site. From graphics to textures to illustrations and mockups and so much more. Piexelo is our favorite resource for all sorts of creative assets. Not just fonts. Their bundles also include backgrounds, PSD templates, Photoshop Actions and lots more resources for graphic designers and small business owners that make their own visuals. To create your social media graphics, you really have lots of choices. 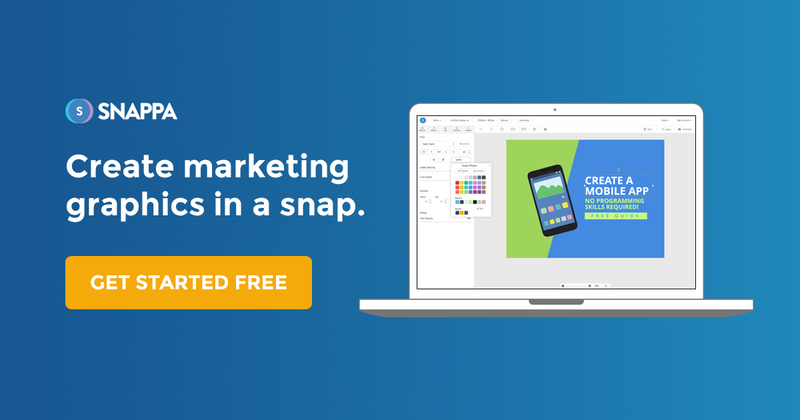 If you really can't afford to pay for one, then you might as well go with Canva, which is the best free option at the moment. But if you really want to get results you need better editors. We have two sections for your choosing; online drag and drop editors like Visme and professional editors like Photoshop. Visme is one of our favorite graphics editors. They've been around for a while and they just recently came out of beta. Their editing system is made of slide templates and content blocks with extensive editing options. There are thousands of available icons, illustrations and photos. Premium plans have a brand kit that you can fill up with your branding assets which will help you stay on brand always. For a quick and easy editor that can be quickly shared to social media, Snappa can be good option. This program has its limits but its ok for quick image creation. Another easy editor for quick image creation is Stencil. Similar to Snappa and Canva, Stencil is a easy and fast to master. The Creative Cloud is the all time most famous collection of editors. You can have Photoshop, Lightroom, Illustrator or Adobe Stock. Create stunning graphics and images for your business, learn a new skill and improve your visual strategy. Pixelmator is the graphics editor from Apple. At a low cost of a one time payment of 20$ it's quite practical and easy to use. A good alternative to the Creative Cloud if you can't afford that yet.